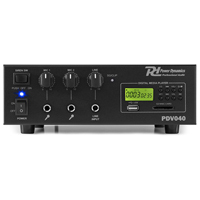 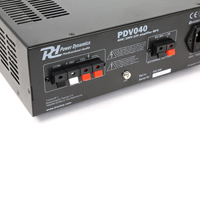 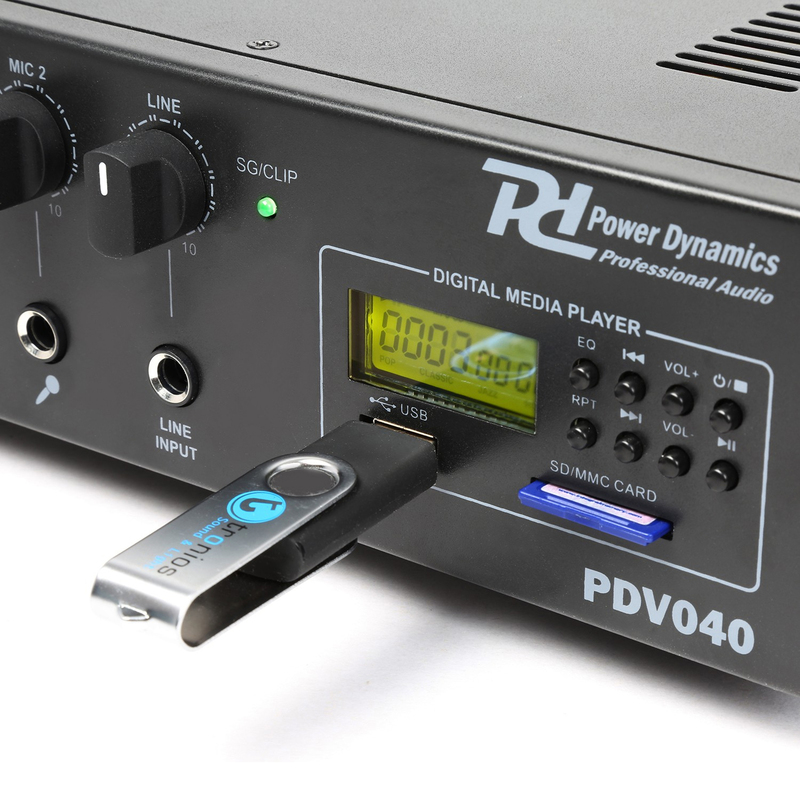 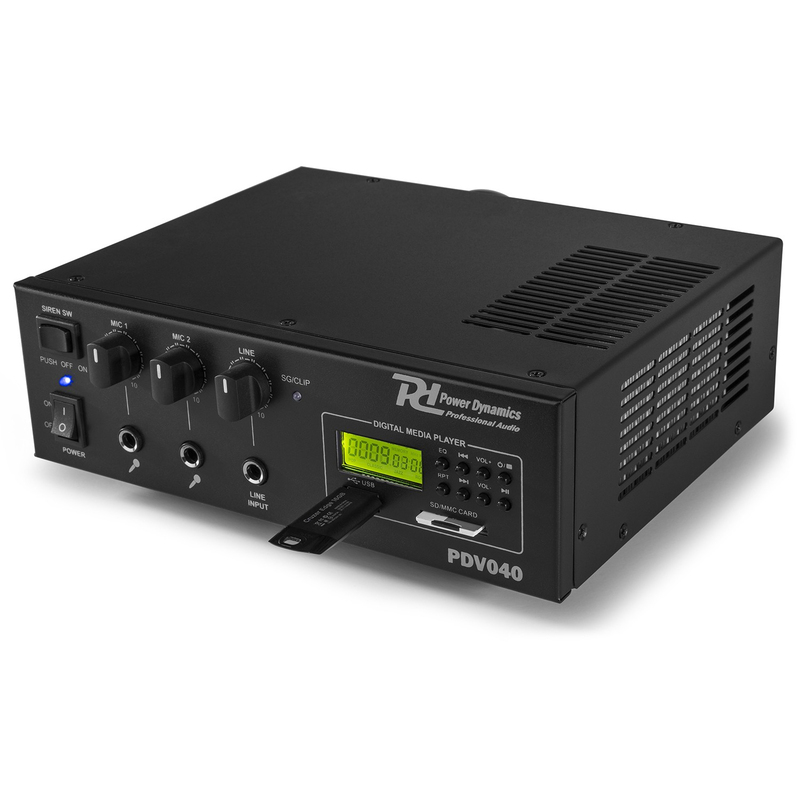 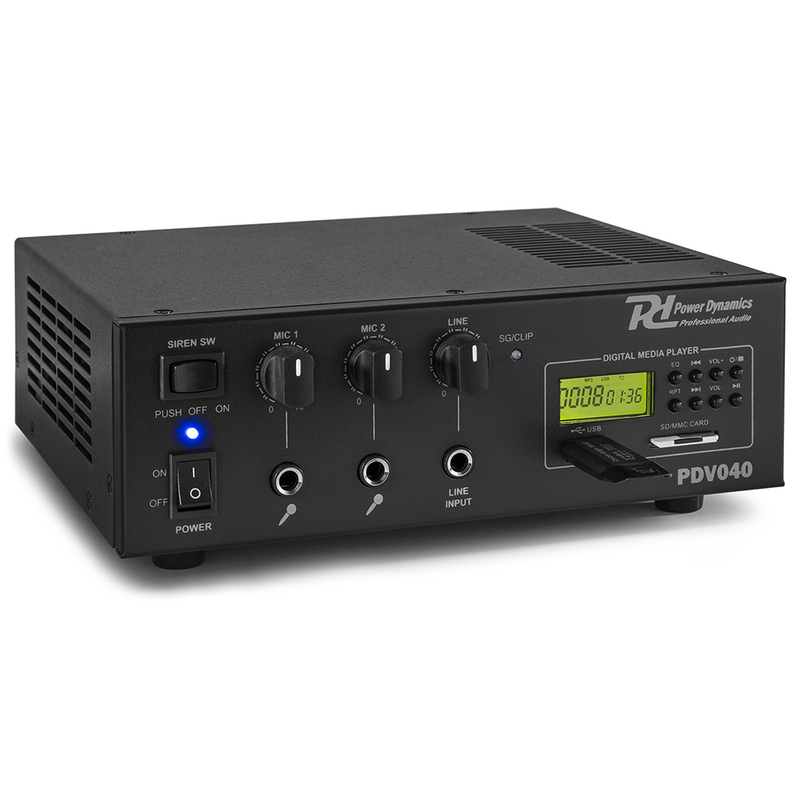 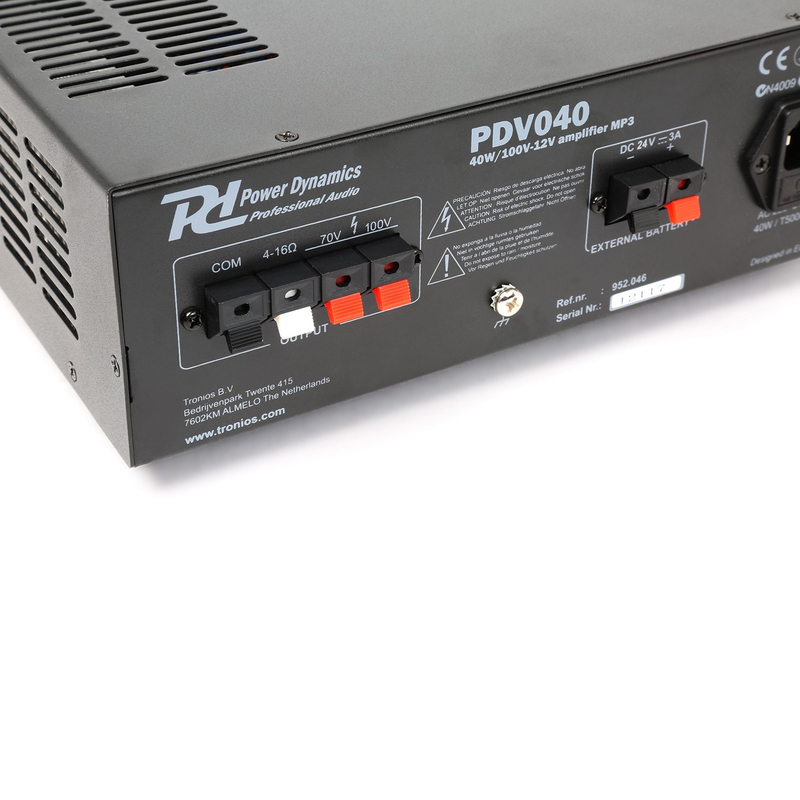 The choice of 8 Ohms, 70 volt line and 100 volt line system set-up, with the PDV040, from industry leaders; Power Dynamics. The ultimate in flexibility of this unit also incorporates USB and SD ports, ready for direct MP3 playback and more. 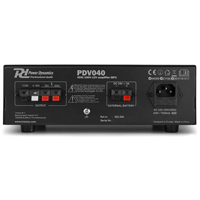 This amplifier with 8 ohms, 70V and 100V outputs characterized by easy use, excellent performance and reliability and is therefore particularly suitable for a wide range of small and medium-sized installations. 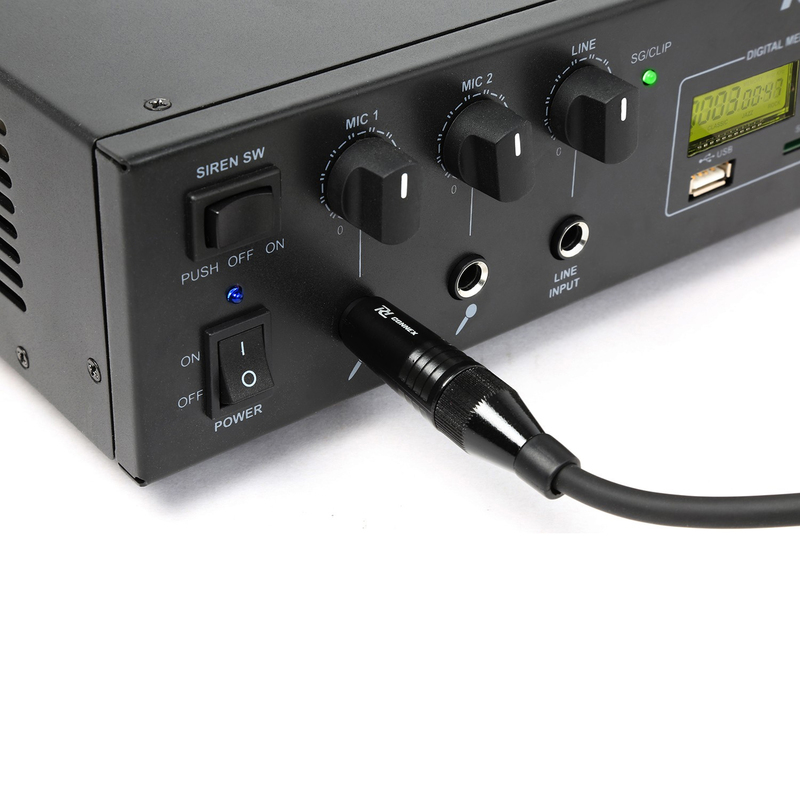 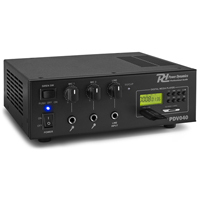 The amplifier is equipped with USB / SD ports for MP3 playback and has an MP3 control panel. It is equipped with an equalizer, 2 microphone inputs, an auxiliary input, siren and an external 12V connector too.